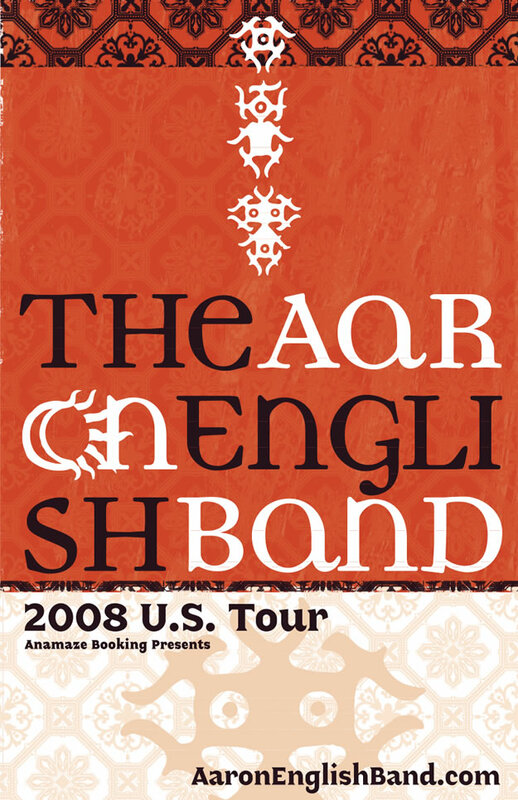 The sun/moon logo design for Aaron English Band was crafted from both existing and original art, while the logotype is customized type. 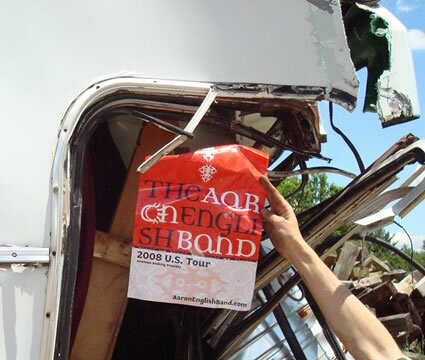 The poster was originally designed for their 2008 tour, which ended suddenly after a tragic tour bus crash. Their sense of humor was obviously still magically intact when they snapped a shot of the poster in front of the crash wreckage. The design features rich patterns and textures that reflect the depth of the band’s music and lyrics. The poster’s lower section was designed to allow them to add specific venue details from the road, then print it locally wherever they were. The band is back at it in 2012, after the mad success of their Norwegian Wood/Kashmir medley. Check ’em out!